Ever since mp3 players shrunk to a size smaller than a credit card, I’ve always gone on a run to a beat, audiobook or a podcast. Improvements in technology made impressive advancements in mp3 players and smartphones that allow you to enjoy your runs. One critical component still needs a lot of work is creating the best wireless running headphones. There are thousands of headphones on the market. You have wired and wireless options. Headphones for small kids and headphones for gamers. Headphones for sports and headphones to make a fashion statement. All ranging in prices for as low as $6 and all the way up to $10,000. With so many options out there, it’s very difficult to find the right headphones for running. I’ve tried all types. Headphones that came with my Sony mp3 players, Apple earbuds, wired sports earbuds and overhead headphones. They were all wired. Some were ok, some I only tried for just one run to never wear them again. Recently, I decided to try wireless headphones. Just the simple wireless option makes a huge difference in how much you can enjoy your runs and workouts. 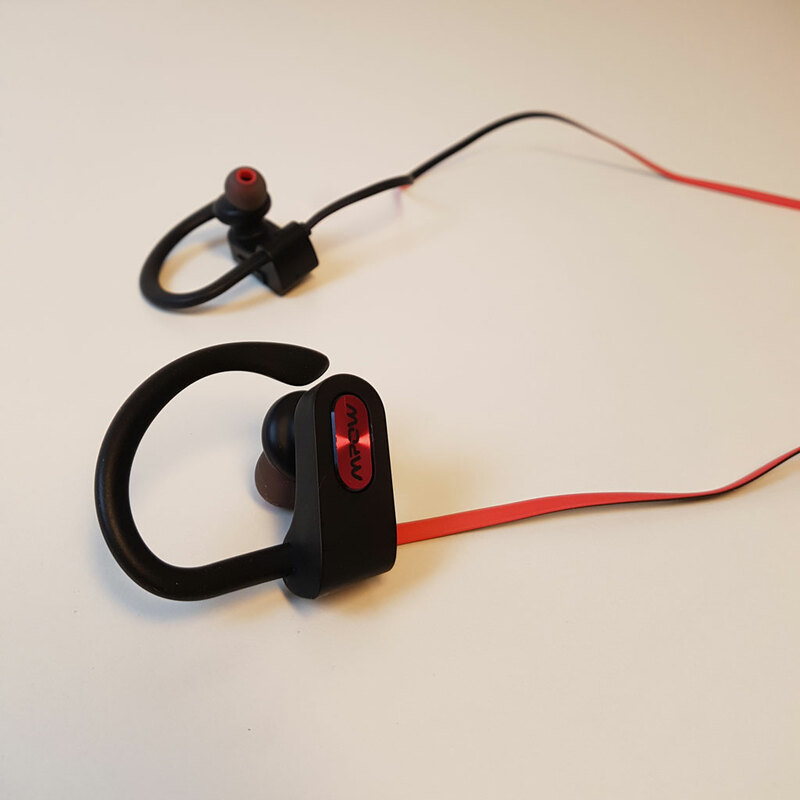 After doing research online for a pair of the best wireless headphones for running, I settled on Plantronics Backbeat FIT. They had a good price point and great reviews. It met every criterion on my feature checklist, built-in microphone, decent battery life, water-proof and great sound. I liked them so much, I left a 5-star review on Amazon. But a year later they failed and I had to change my rating and edit the review. This led me to look for alternatives. I’ve read reviews on Amazon and on wirecutter to find a good replacement for Backbeat FIT. Here’s what I was looking for an a good pair of wireless headphones for running. These are must-have features in wireless headphones for running and workouts. 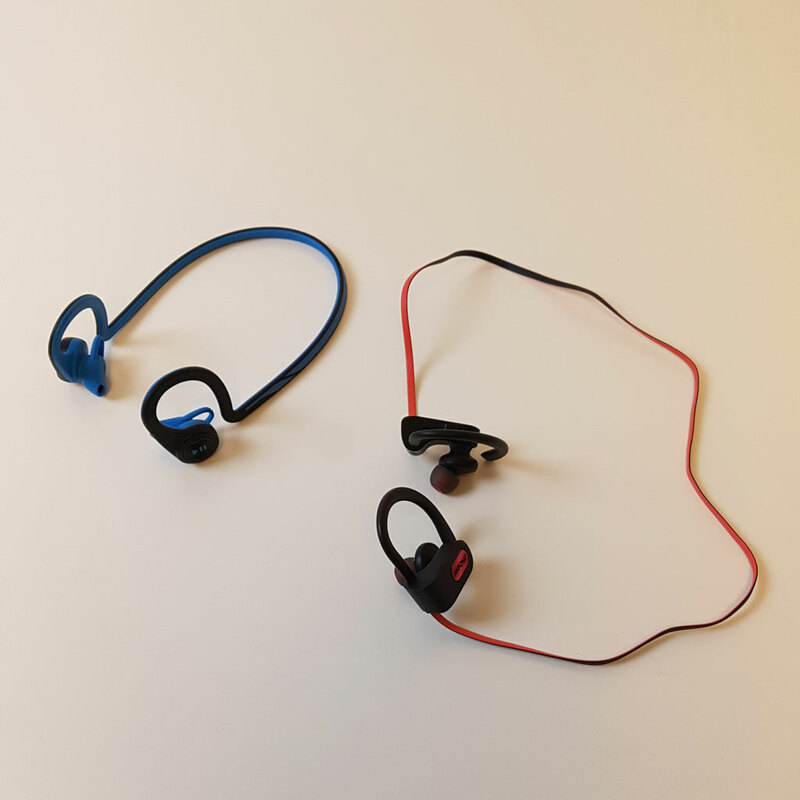 Although they fit comfortably in-ear and were secure over the year, the band that went behind your neck was too stiff – if you run with any bulky clothing like a hoodie, that band will be hitting and rubbing against the clothing. Creating an annoyance and feeling that the headphones would fall off. There are many reviews and wireless headphone buying guides. 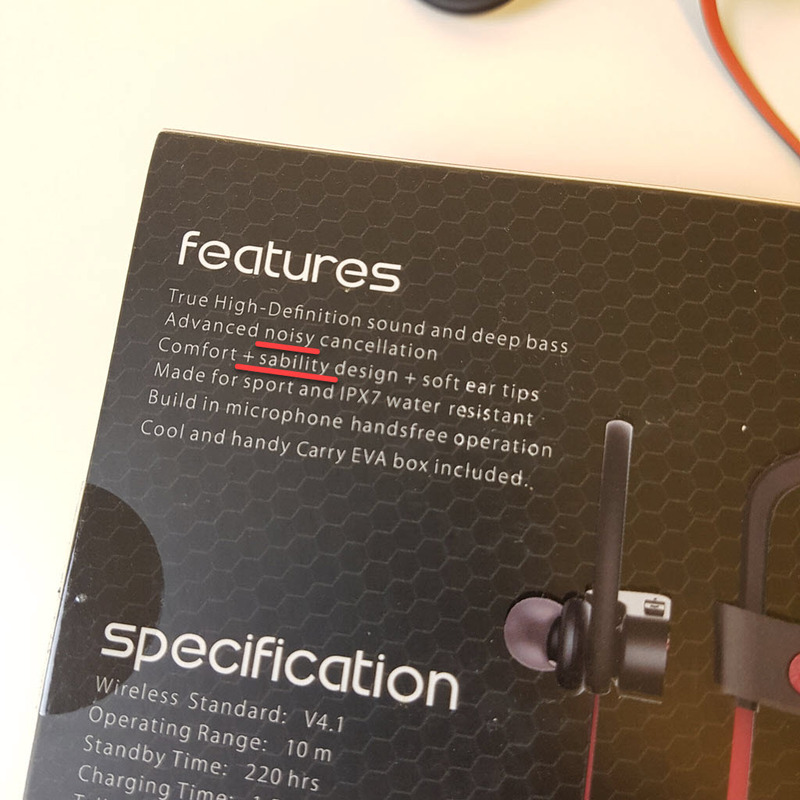 Surprisingly, many of them mention a new type of earphones that are not connected to each other with a cord. They are two separate units that sit inside each of your ears such as Jabra’s Elite Active 65t. 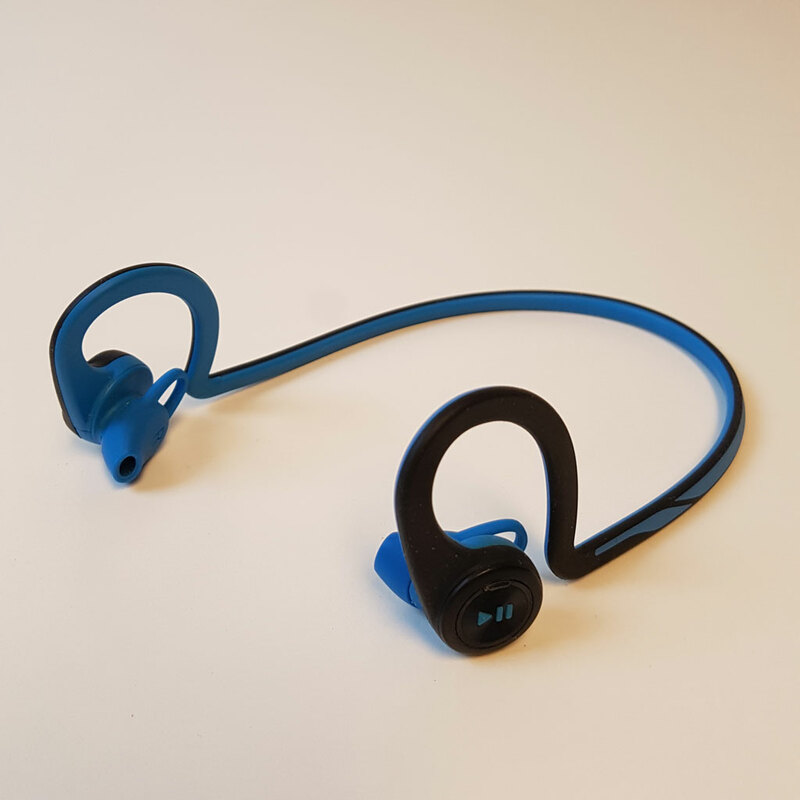 I’m sure they are great earphones, but can they truly survive an intense run or a workout without falling out? I’m skeptical. I couldn’t find any good recommendations in running earphone buying guides, but I did find exactly what I was looking for on Amazon; Mpow Flame. Mpow flame as plenty of great reviews at a good price point. Way below my budget. First things first, let’s manage expectations here. Mpow flame is about one-third the price of the Plantronics Backbeat Flame. So you can’t expect much. Mpow flame performs exactly how you’d expect $30 wireless earphones to perform. Verdict, if Plantronics can make Backbeat Fit headphones last longer they are worth the money. Unless you buy them with an extended, hassle-free product replacement warranty. Until then, $30 Mpow Flame wireless running headphones are a decent option to consider. Just lower your expectations.